The new cleaning wonder the so called easyclean365+ Gun ensures the most professional and efficient interior and exterior cleaning of all kinds of dirt in the car wash sector. 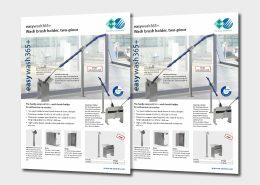 From now on strenuous manual work together with different ­cleaning agents are not necessary anymore as the easyclean365+ Gun removes chocolate on seats, dirt in ventilation ducts and also brake dust on wheel rims by its technically mature technology. 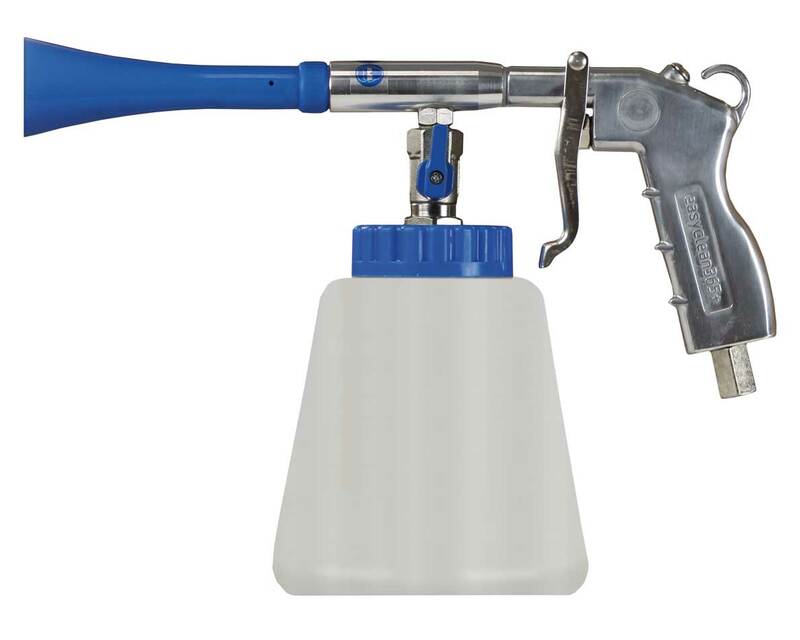 Thereby, it generates the cleaning efficiency of a rotary cutter – only a permanent compressed air connection for minimum 5.5 bar and a suitable cleaning agent are required and necessary. By the needed low water volume and the effect in depth of the dirt a speedy drying of the surfaces is guaranteed! Save your easyclean365+ Gun today and become acquainted with its convincing performance! Excellent water absorption and high absorption speed by polyurethane skin which treats the surfaces with care. According to the principle “completely clean with only one wipe”. Even spots like fingerprints are removed in the twinkling of an eye and the surfaces gleam in mint condition.Washable and usable several times. Water drops on the surfaces after cleaning are a thing of the past and the use of any detergents is dropped. 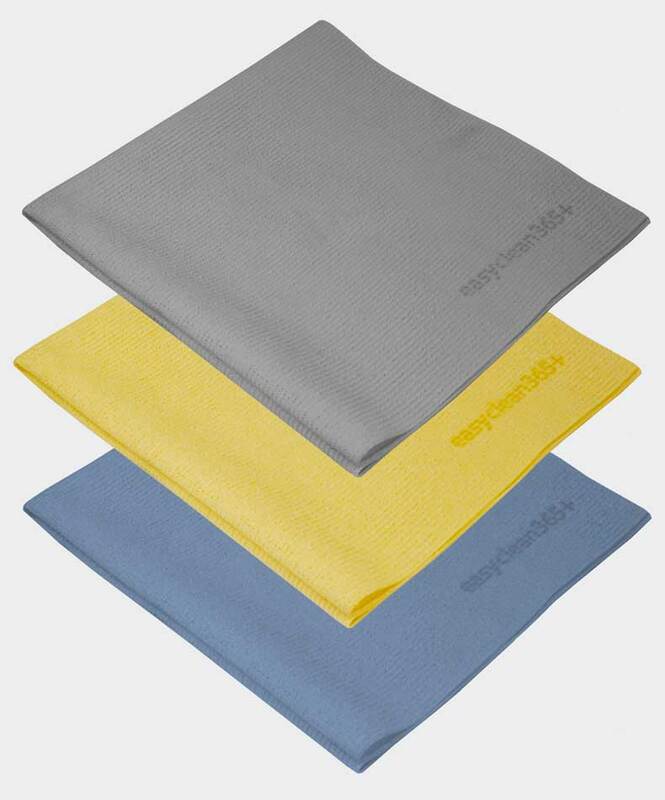 Due to the interwoven and strong texture the microfibre cloth is tear-resistant. Furthermore, it is lint-free, antibacterial, very kind to your skin and anti-allergic.Composition: PET/PA microfibre, high-tech polyurethane.